In order to meet the individual requirements of the clients, we offer wide array of Chart Papers (Chart Paper Blue) that are quality assured and are offered with varied thickness. Clients can avail them in varied colors and are used to draw different creative pictures. 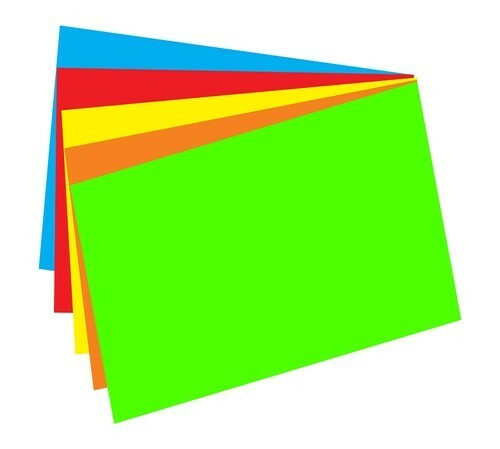 Chart Papers are also used to add attractive look to the class rooms and are delivered in affordable rates. Sri Vyshnavi Multi Products came into existence on 2011 as sole proprietary firm. We are prestigious manufacturer, trader and supplier of Cleaning Brushes, Floor Brooms, Housekeeping Products, Cleaning Scrubbers, Paper Stationery, Writing Pens, Office Stationery, School Stationery and much other variety of products. For producing these products we opt for procurement of quality material. We believe that quality is our major driving force. To maintain leading position in the industry we regularly update our quality parameters. To ensure that production is done according to the set quality standards, we have developed quality control cells. Products not adhering to the quality parameters are removed immediately. Our firm ensures that during delivery process quality is maintained. We believe that it is our duty to deliver right quality material, at right time and in right condition t our respective customers. This in addition helps to achieve the set targets. We trade products of Kangaro, Scotch Brite, Air Wick, Shilpa and many other brands.